We service residential and commercial clients. We use commercial grade products only, as a consumer grade product will not last. Our Process: Grind or acid wash to open the pores of the concrete, wash and neutralize, apply epoxy and chips then apply polyurethane. 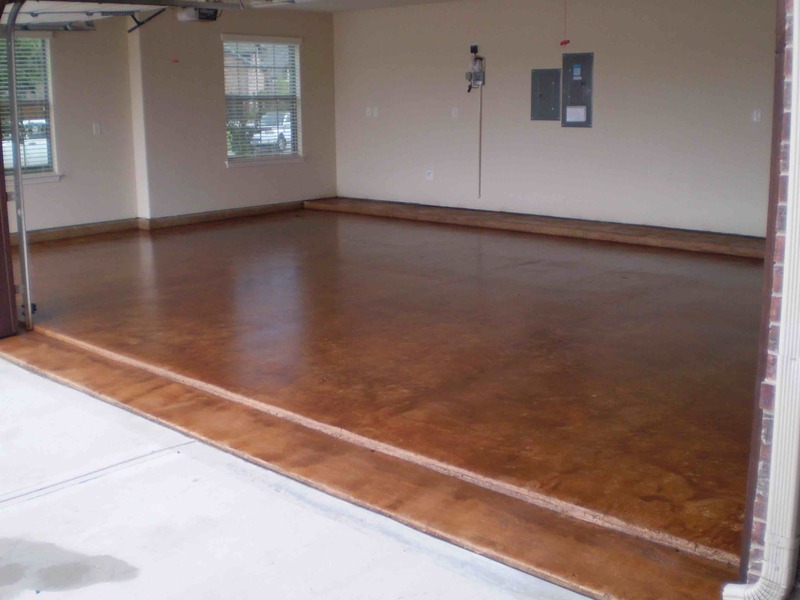 In 20 years we have never received a warranty call on our garage floors. Our types of products include epoxy, epoxy with chips, acid stain, water based stain, polyurethane and metallics. Garage floors, Air craft hangers, Warehouses, and Retail Spaces.